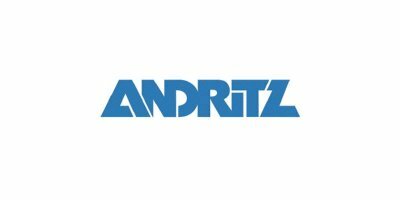 ANDRITZ AUTOMATION, part of international technology Group ANDRITZ, has received an order from Compass Minerals® to supply the electrical distribution equipment, dynamic process simulation, and control system solutions for the sulfate of potash (SOP) project in Ogden, Utah, USA. The start-up is scheduled for the second quarter of 2016. The scope of supply includes the design and supply of electrical power distribution and motor control equipment, the ANDRITZ dynamic process simulator for operator training, a control system, patented ANDRITZ BrainWave advanced process control applications for the crystallizer, and operator training. The ANDRITZ production simulation process solution will enable Compass Minerals to predict how the new SOP plant will behave from both a dynamic process and control standpoint before start-up. As a “virtual plant”, the ANDRITZ dynamic simulator will enable Compass Minerals to verify and test the chemical processes as well as the control logic (including the advanced control on the crystallizer), and it will be interfaced with the control system as an operator training simulator. The combination of electrical distribution and motor control equipment allows the entire system to be pre-tested against the simulator, resulting in a single fully integrated control system which is ready to operate from day one. Compass Minerals is a leading provider of essential minerals and produces sulfate of potash specialty fertilizer that is approved for use in organic production of fruits, vegetables, tree nuts, and other high-value crops. The company also produces salt, magnesium chloride, and other plant nutrients for distribution primarily in North America. No comments were found for ANDRITZ AUTOMATION to deliver plant control systems for Compass Minerals, USA. Be the first to comment!